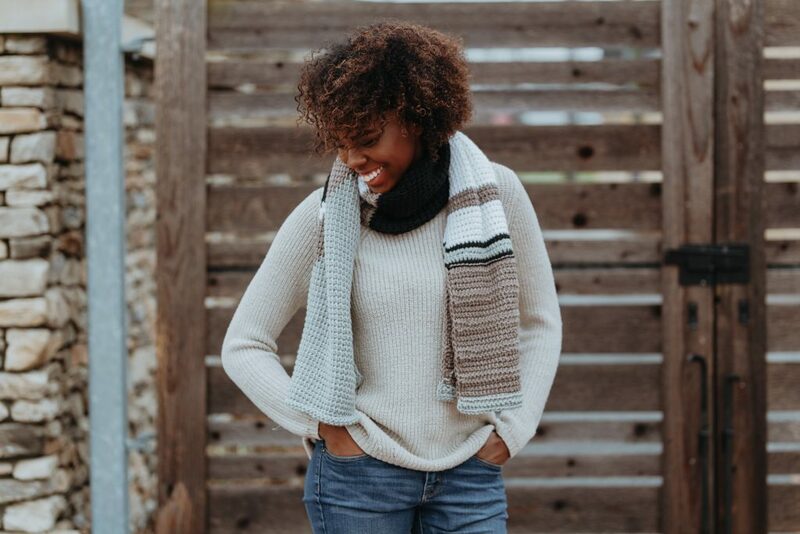 Harness the essence of the east coast in fall with the Upstate Scarf Tunisian crochet pattern. 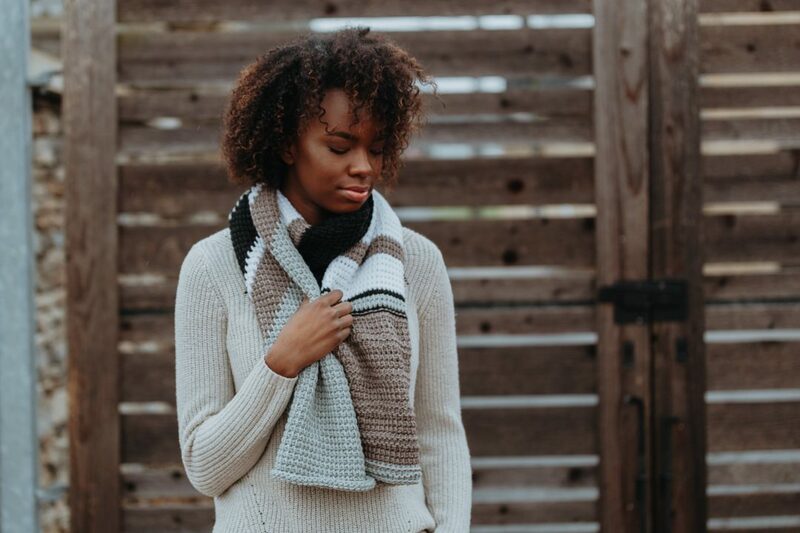 Chic and clean, the Upstate Scarf beckons makers to flex their Tunisian crochet skills and step out of their color comfort zones. 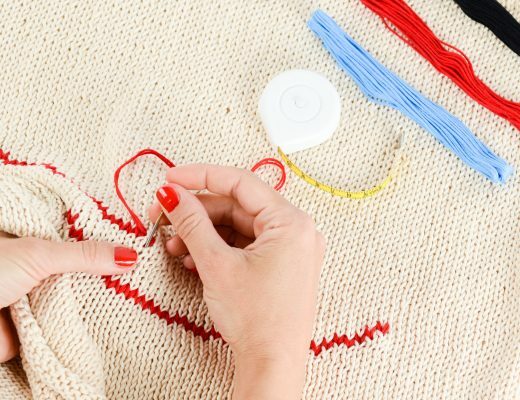 Sections of colorwork, bold striping, and textured stitches make this an addictive project you won’t want to put down. 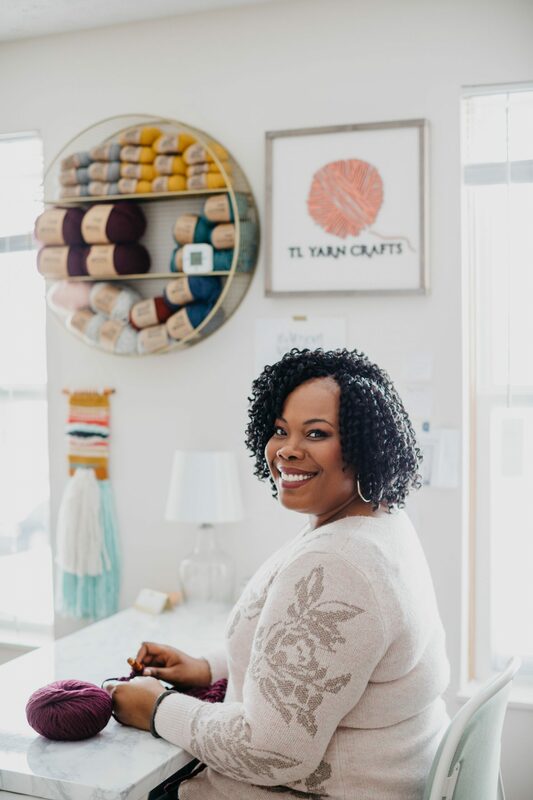 This post is sponsored by LoveCrochet and Blue Sky Fibers. All opinions are my own. SAVE 50%! 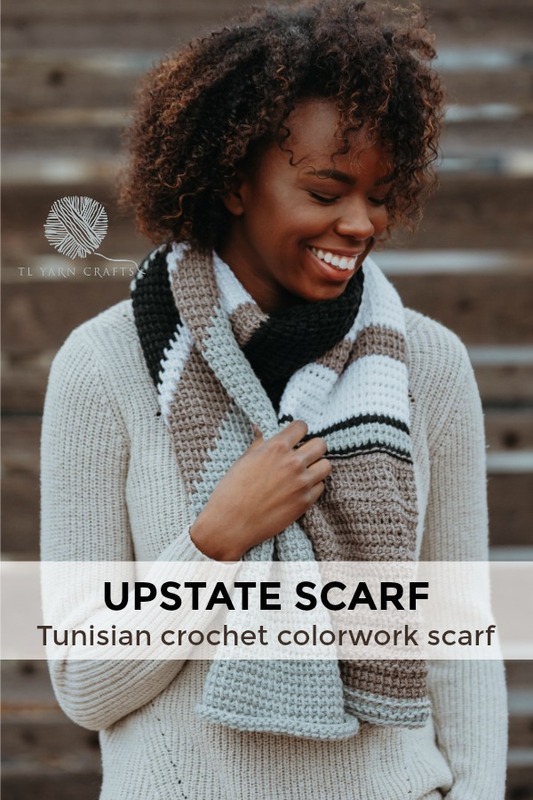 Get your copy of the Upstate Scarf from LoveCrochet.com for just $2.50! 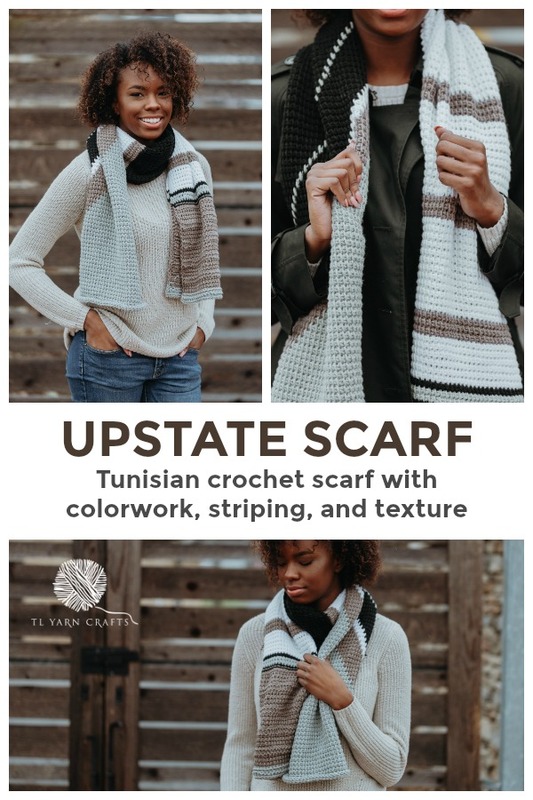 Snag your copy of the Upstate Scarf on Etsy and TLYarnCrafts.com. The printer-friendly PDF version includes a 5-page, full-color crochet pattern with helpful chart and video links. There’s nothing I love more than a good Netflix binge at home on a crisp fall day. But when I do have to go out, wearing a scarf is a must. 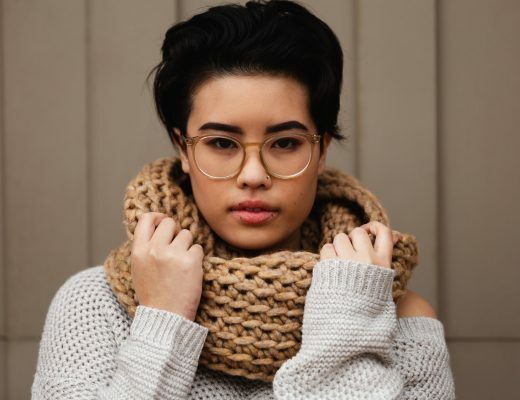 When a superscarf is just too much and I need something light but warm, I can now reach for my Upstate Scarf! It’s lightweight, long enough to tie a million ways, and keeps me warm throughout my whole day. I had the absolute pleasure of going to my first New York Sheep and Wool Festival this year (a.k.a. Rhinebeck). 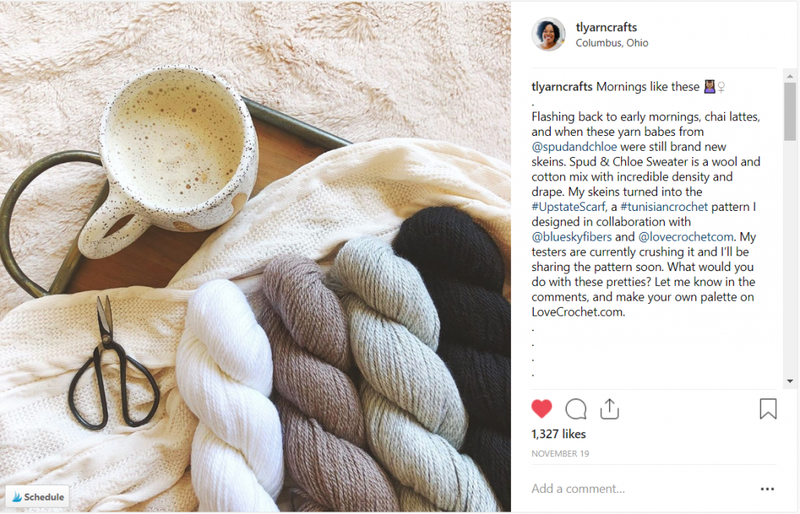 I loved it so much I wrote a blog post about it for the Craft Industry Alliance. It’s a giant gathering of makers, vendors, and activities that happens in a sleepy town in upstate New York. While traveling there in late October, the highway took us through mountains and tree-covered valleys. I was awestruck by all of the texture and colors. When I got back home, I was inspired by some happy mail I received from my friends at LoveCrochet. 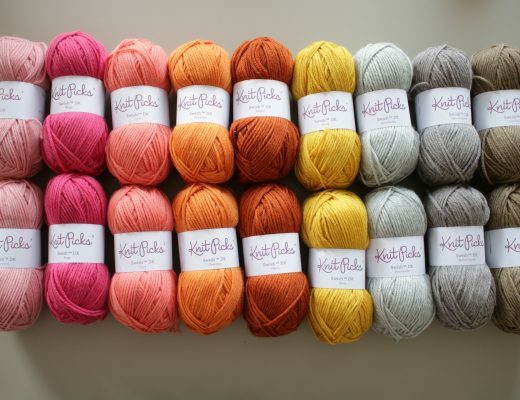 In partnership with Blue Sky Fibers, they’d sent me the most lovely spread of Spud & Chloe Sweater yarn. Sweater is a blend of wool and cotton that makes a fiber so buttery I had to use it right away. I transported myself back to my drive through the New York mountains and the Upstate Scarf was born. 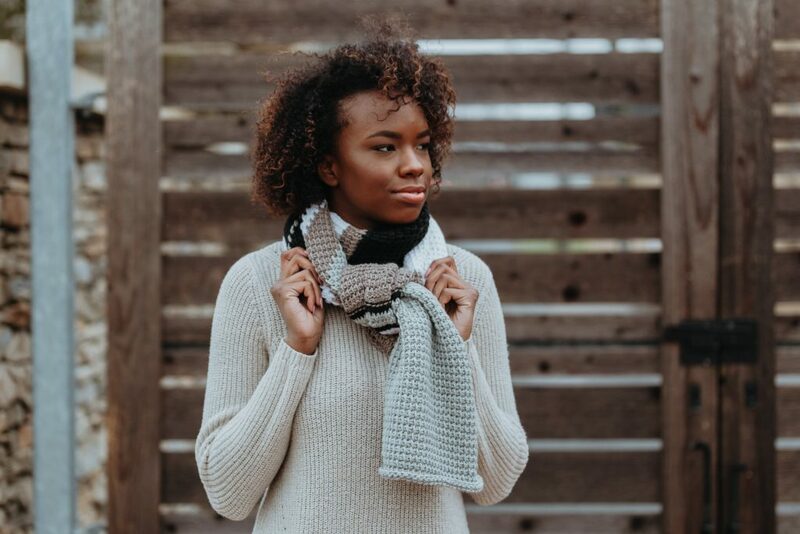 The TL Yarn Crafts pattern library includes plenty of scarves and shawls (like the Flatiron Shawl and Cara Scarf), but none that utilize Tunisian crochet. I’ve dabbled in some baby blankets and home decor with Tunisian crochet, but the Upstate Scarf is my first (and favorite!) accessory using this fun craft. If you’re new to Tunisian crochet, learn this technique using my FREE tutorial series! 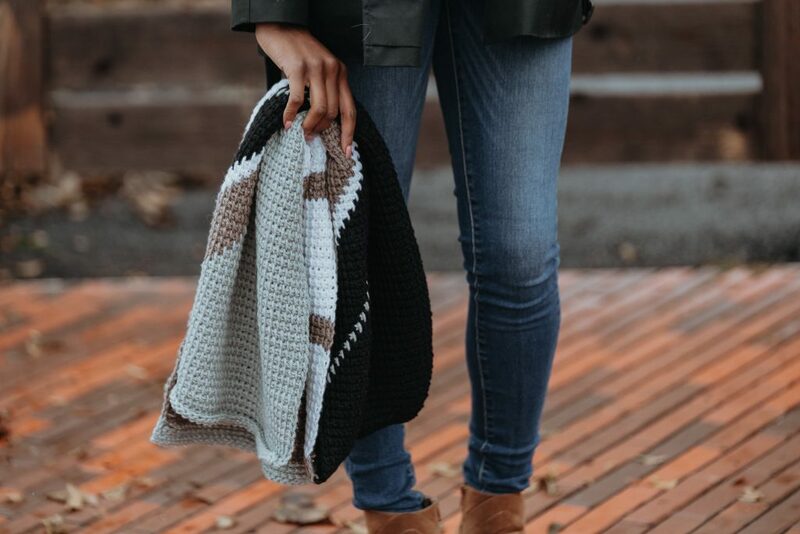 The Upstate Scarf is a rectangular wrap composed of varying sections of Tunisian crochet techniques. The first section features intarsia colorwork. The handy chart in the pattern makes this color changing section much easier to do than it looks. The second section of the scarf brings in some bold striping with contrasting colors. 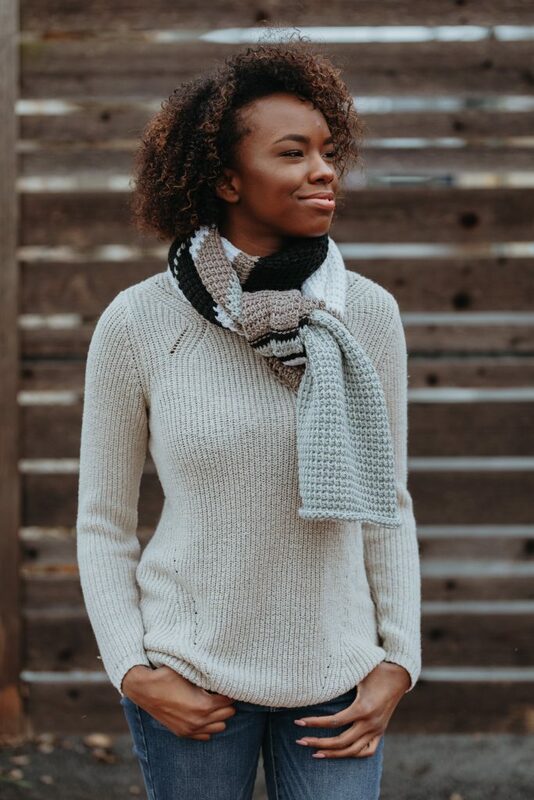 The project is finished off with solid colored texture stitches, achieved by introducing the Tunisian purl stitch to the mix. The final product, measuring 69″ long, is perfect for wrapping on a windy day. Click here to get your copy of the Upstate Scarf for only $2.50!